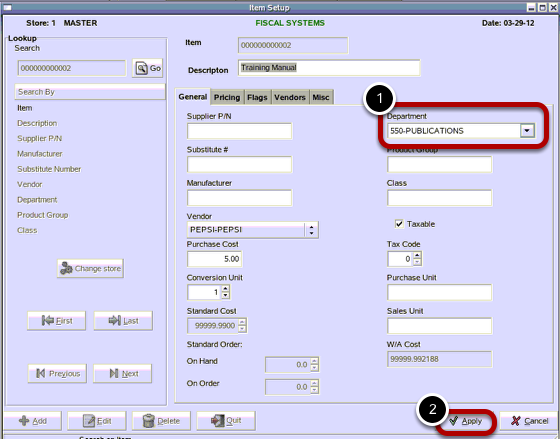 TravStar1 Point Of Sale SystemManager's Work Station Pricebook ManagementHow Do I Assign an Item to a Different Department? 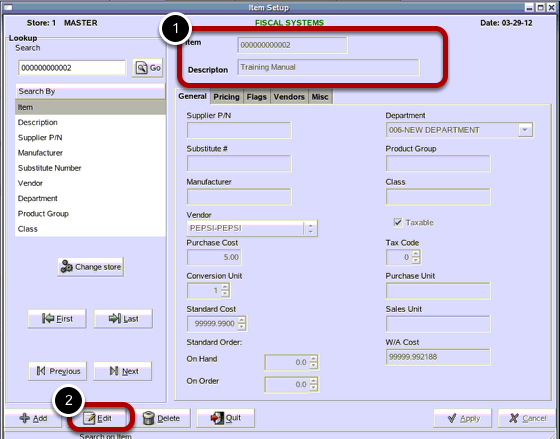 How Do I Assign an Item to a Different Department? 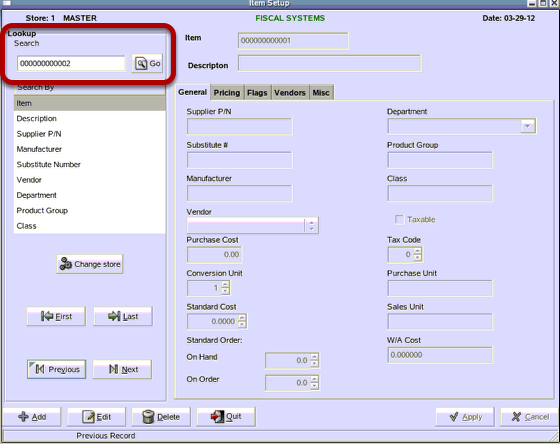 From the Lookup menu, type in the PLU number of the item you want to change the price. Then click on the "Go" button. 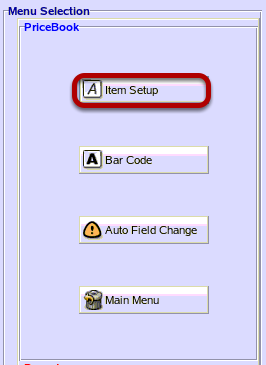 (1) From the Item Setup menu, click on the Department drop down menu. 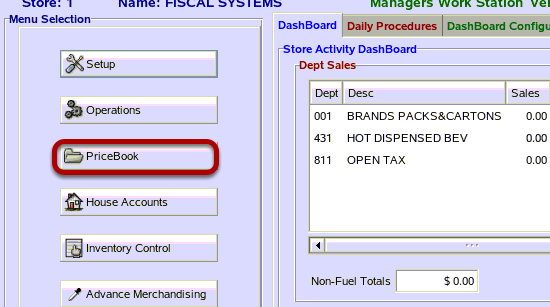 Click on the new department you want to move your item to. Prev: How Do I Change the Retail Price for an Existing Item? Next: How Do I Setup Packs and Cartons?